FHA mortgages are not just for first-time home buyers, and FHA loan guidelines do not offer more favorable terms for first-timer buyers than for anyone else. 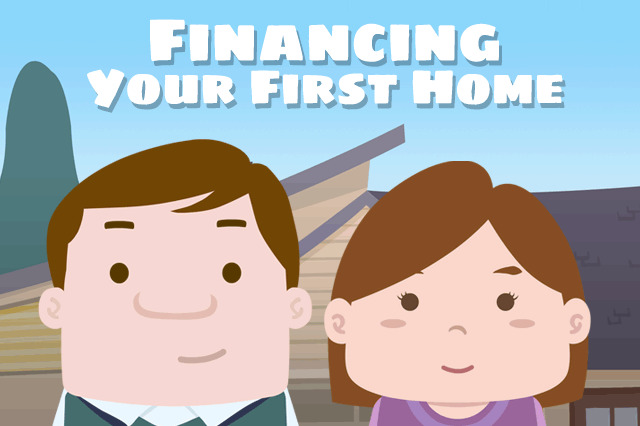 All applicants who are financially qualified can apply for an FHA loan or refinance loan. March 24, 2017 - Are you a first-time borrower hoping to qualify for an FHA mortgage? FHA home loan options for new borrowers and first-time home buyers vary, but in general there are mistaken ideas that FHA mortgages are specifically targeted at first-time borrowers, and another misconception that FHA loans somehow favor first-time borrowers with better rates or terms. FHA mortgages are perfect for new borrowers thanks to low down payment requirements (3.5% compared to as high as 20% for some conventional home loans) and the FHA’s more forgiving credit terms. Individual lender requirements may apply, but FHA loan rules set a different baseline credit score requirement than conventional loans. FHA mortgages are not just for first-time home buyers, and FHA loan guidelines do not offer more favorable terms for first-timer buyers than for anyone else. All applicants who are financially qualified can apply for an FHA loan or refinance loan. That is true whether you are a first time homebuyer or looking for a larger or more improved home to use as your primary residence. That said, you may notice individual lenders offering first-time home buyer incentives. Such offerings originate with the lender and not the FHA, or from a regional, state, or local program designed to assist those who have never purchased a home before. You can get information on home buying programs broken down by state from FHA.gov. Even though these programs are listed on the FHA official site, they are not administered by the FHA and borrowers should contact the agencies involved directly for assistance. There is other help for new home buyers. First time home buyers should consider an ongoing FHA/HUD offer to refer house hunters to a local, HUD-approved housing counselor who can help with pre-purchase planning, budgeting issues, credit, and more. Anyone who feels the need to get help starting out on the road to an FHA mortgage should definitely contact the FHA directly for this assistance. First-time home buyers should read up on about interest rates, mortgage insurance, appraisals, and home inspections-doing some homework on the FHA loan journey in advance of taking the first step will make you much better prepared to make informed choices about your new FHA home loan. Borrowers who have already done some preliminary research into a home loan and know how much house they can afford, their FICO scores, and who can answer some basic questions about income, employment, and credit history may wish to pre-apply for an FHA home loan to get started. Pre-approval is not the same as loan approval, but it does put you in touch with a participating lender who can discuss your specific needs and wants for a future home.